Assemble your favorite Disney character! This 3D Crystal Puzzle collectible features uniquely-shaped, interlocking, translucent crystalline pieces that give puzzling a whole new dimension. 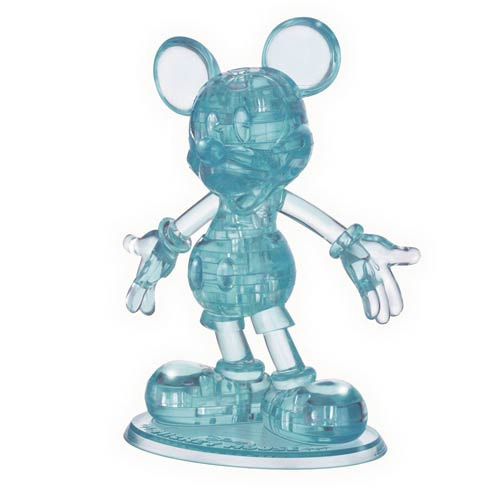 The Mickey Mouse 3D Crystal Puzzle Mini-Figure captures Disney's leading man in pale blue. This level 1 kit includes 44 pieces to assemble. Ages 12 and older. Stands about 3-inches tall when fully assembled.